1; A child who was the subject of an Amber Alert in South Carolina was found dead. According to Channel 2's Cox Media Group's sister station, WSOC-TV, Ms. MPs said she went out to check her mailbox on Jackson Road East in northeast Chesterfield around 2pm Tuesday, as a light brown and gold-colored SUV in the middle of the street stopped. The woman told the deputy a white man wearing a black coat, sled and a black glove got out of the vehicle and hit her in the head several times. The man, who was about 6 feet 2 inches tall, then grabbed 11-month-old Harlee Lane Lewis and raced off in the SUV. The mother said she had never seen the man before. 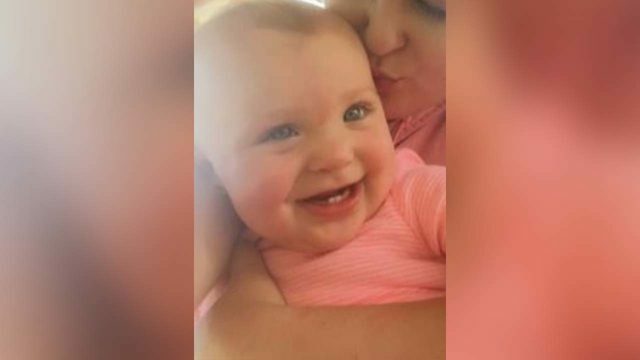 Deputies who responded to the scene searched the area and found the infant's body hidden in a diaper box about 1000 meters from the apartment. WSOC Greg Suskin of TV reported that the mother had been taken into custody. Her name was not published. Anyone who has information about the attack or abduction is requested to contact the Sheriff's Office of Chesterfield County at 843-623 -2101. The State Law Enforcement Division and the FBI also help with the investigation. Information from Channel 2's Cox Media Group sister station WSOC-TV was used in this report.